Losses are the wastage of energy in the device which will affect the overall efficiency of the device. So the losses of the device should be known to design the component with minimum losses. Transformer is an electrical isolation component which transfers the power from primary to secondary without any physical contact. In power transmission from primary and secondary, there are losses in the transformer which are bases on load of the transformer i.e. No-load losses and Load Losses. Dielectric losses in the transformer components during excitation. I2R losses due to no-load current in the primary and secondary windings. For distribution transformers no load losses are typically less than 5% of the rated current. Hysteresis losses and eddy current losses contribute over 99% of the no-load losses. 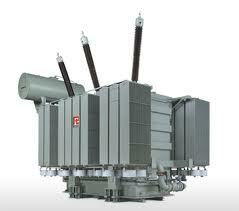 They include heat losses (I2R) and eddy currents in the primary and secondary conductors of the transformer. 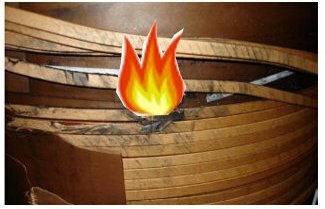 Heat losses, or I2R losses, in the winding materials contribute the largest part of the load losses. They are created by resistance of the conductor to the flow of current or electrons. Measurements of transformer loss are usually conducted during open-circuit and short-circuit tests. With the open-circuit test (load = 0) the measured losses are the no-load loss. During the short-circuit test the secondary is shorted and primary voltage adjusted to achieve a full load current flow. Short-circuit tests give the total transformer loss from which the load loss can be calculated by subtracting the no load loss. By applying external magnetic field the magnetic material will get magnetized. 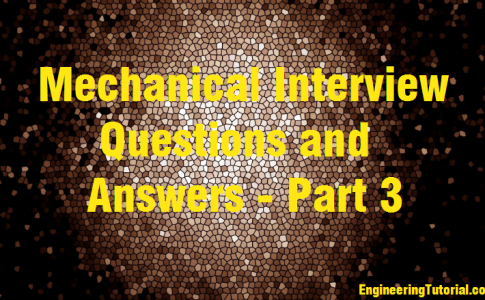 The extent the material gets magnetized depends on the applied field and the permeability of the material (µr). The magnetization, flux density inside material. Ferromagnetic materials have high magnetic permeability’s and hence can be magnetized used. Starting from zero external field, as the external field is increased the magnetization increases till it reaches saturation. After the field inside the material reaches saturation field further there will not be any increase in thee magnetization even after the external field is increased. Now if we decrease the field the flux density decreases. But at zero external fields there exists remanent magnetization inside the material. In order to make the flux density inside the material zero we should apply magnetic filed in the direction opposite to the field applied before. The external field that should be applied to make the flux density inside the material zero is called coercive field denoted by Hc. 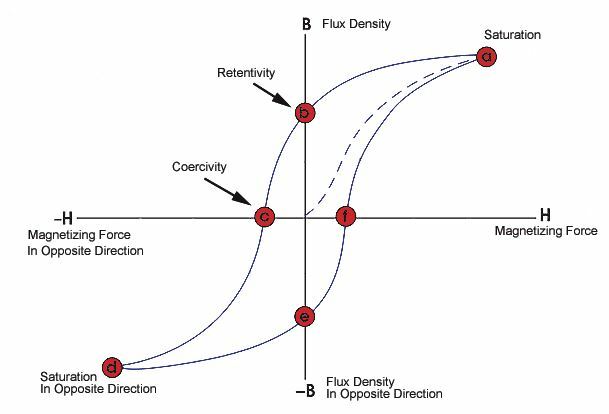 It is obvious from the B-H curve that magnetization and the flux density inside the material lag behind the applied field. 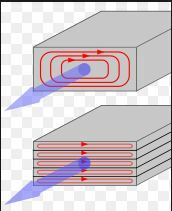 Magnetic hysteresis can be explained as follows: Ferromagnetic materials such as iron consist of domains in their internal structure. The size of the domain will be ranging from 1 micro m to 1 mm. These domains consist of a number of magnetic dipoles which are parallel with respect to one another inside the domain. Every atom in ferromagnetic material has contains of unpaired spinning electrons which acts as magnetic dipoles. Hence every atom has non zero magnetic moment associated with it. Due to random orientation of domains at no applied magnetic field the net magnetization in a ferromagnetic material will be zero. When an external magnetic field is applied all these domains orient in the direction of magnetic field which gives rise to net magnetic field. Now the external field is removed, after the removal of external filed most of the domains again orient randomly. But some of the domains retain their orientation due to crystal defects (dislocations) giving rise to permanent magnetization. As the applied magnetic field intensity varies periodically, the hysteresis loop is traced once. To make the field inside the material zero an external magnetic field opposite to the direction of magnetization of iron should be applied. So in order to achieve this demagnetization and magnetization of domains extra work is being done which is termed as hysteresis loss. Hence the total hysteresis losses = Total area inside hysteresis loop*volume of core. Therefore the materials with less area inside the hysteresis loop are preferred for transformer cores. βmax is the maximum flux density, the empirical exponent of which varies from about 1.4 to 1 .8 depending on the material used for core but is often given as 1.6 for iron. Air core transformer eliminates loss due to hysteresis in the core material but has more leakage flux. Air core provides very low inductance in most situations. Hence it is not a plausible solution. They are characterized by Low coercivity and remanent magnetic flux density, which means low hysteresis losses. When time varying magnetic flux flows in the Ferromagnetic core, an emf is induced in the core in accordance with the Faraday’s law. S is the surface though which flux flows. According to Lenz’s law this EMF is induced in a direction opposing the original field producing it. This induced emf will produce local currents in the conducting core normal to the magnetic flux these currents are called eddy currents. α is the attenuation constant = (ω*µo*µr*σ/2) and has the units of m-1. Due to finite resistivity of core these eddy currents leads to power dissipation in the core. Where Ke = Eddy Current Constant. Kh, Ke and n are the coefficients, which depend on the lamination material, thickness, conductivity, as well as other factors. However, this formula is only applicable under the assumption that the maximum magnetic flux density of 1.0 Tesla is not exceeded and the hysteresis loop is under the static situation. Eddy current losses increases with increasing frequency and increases with increasing conductivity. In transformers eddy current loss is undesirable and can be reduced by using the core materials that havehigh permeability but low conductivity. Soft ferrites are such materials. For low frequency high power applications laminated cores out of stacked ferromagnetic sheets each electrically insulated from its neighbors by thin oxide coatings (insulator). The insulating coatings parallel to the direction of magnetic flux so that eddy currents normal to the flux is restricted to the laminated sheets. The eddy current power loss decreases as the number of lamination’s increases.